Lekker Claypot House is best known for their Clay Pot, one of the very famous shop in Chai Leng Park. 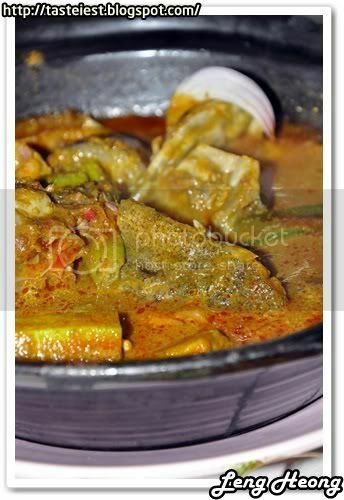 Hot Clay Pot Rice tag with Hot Clay Pot Curry Fish Head is something new to me, always thought that both strong flavor dish should never tag along and I going to prove today either it a good combination or else. 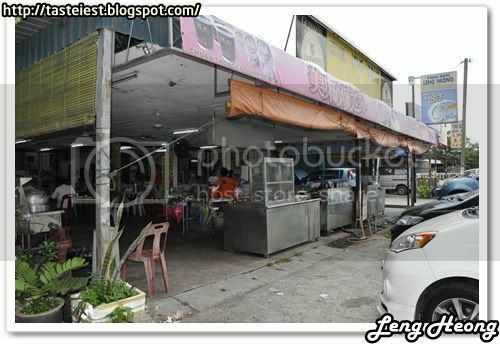 The shop is open air and easily fit up to 20 table or more, parking is a big headache during peak hour. Claypot rice is one of the traditional food where rice is cook using the clay made pot using charcoal but nowadays most of them are replace with gas. 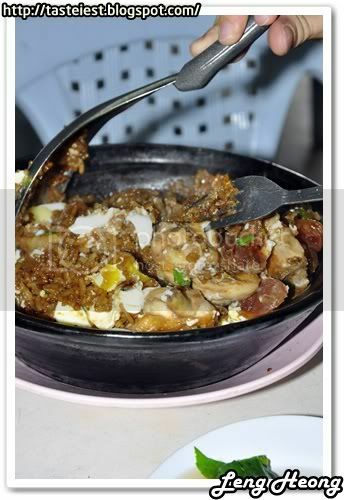 Rice cook with dark sauce, salted fish, chicken meat and mushroom, served together with the hot claypot to maintain the consistent heat. 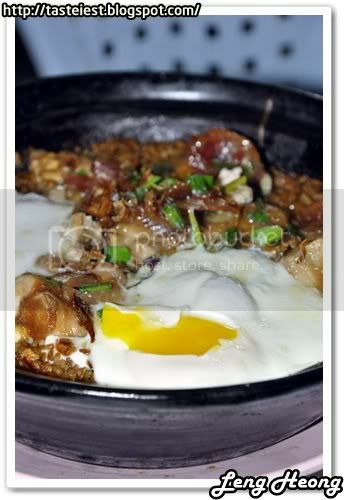 Some add egg on top of it and the egg can be added even after leaving the gas stove as the consistent heat from claypot is strong enough to cook the egg. Portion below is for 2 persons, it came with two eggs, Chinese sausage and chicken meat. 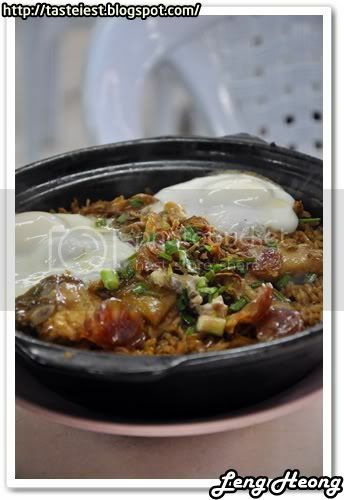 As I said, the egg not necessary to be cook on the stove instead it can be cook with the consistent heat from claypot. Mix together all the ingredient together with the egg, making the egg stick with the rice will make it taste even better. 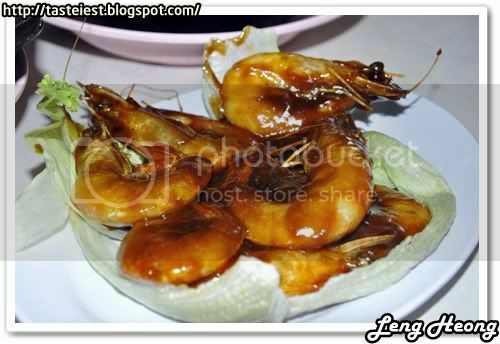 Ordered additional Assam Prawn, prawn is fresh but the Assam is not thick enough, it would be better if they make the Assam sauce more sticky so that the prawn can has better flavor. 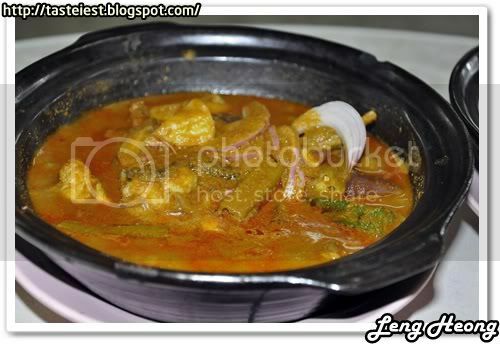 Curry Fish Head, the taste is curry powder taste instead of sour and spicy. It use a lot of curry powder and you can purchase the curry powder from them as well, the gravy is very thick and the portion is very big for two persons. 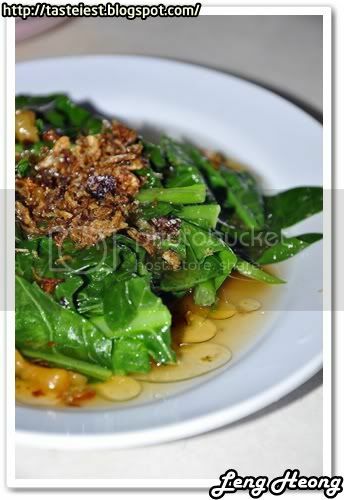 Come to the judgment, whether two strong flavor dish can tag along and create a wonderful flavor? Well, our answer is NO. It simple, because the curry is too strong and cover the claypot rice flavor. Both of them are individually very tasty but when combine together, it just overlap each other and it actually a waste.